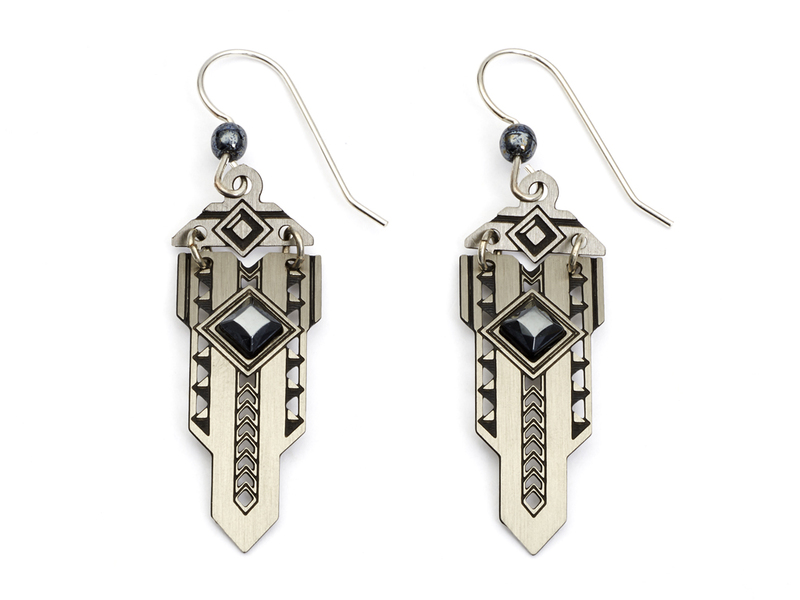 Silver Adajio earrings with elaborately cut silver shapes that center a hematite ornament for a unique, exotic look. Inspired by ancient arts and contemporary Asian and European imagery, the Adajio collection is hand made by Left Hand Studios LLC in Colorado. The company maintains a commitment to environmental awareness and having a positive impact on customers and employees. All ear wires in the Adajio earring line are sterling silver or gold-filled, creating a comfortable, wearable look.